A sunset by the sea is one of the most spectacular scenarios that exist. Can you imagine that environment framing one of the most important days of your life? Because in our country, getting married in paradise is possible. 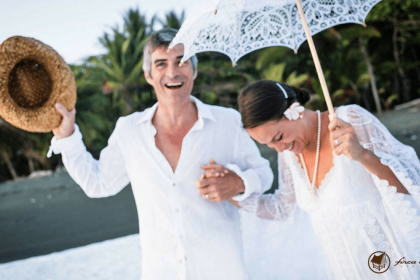 And that’s why today we’re going to talk about today: your Costa Rica beach wedding. One of the wonders that Costa Rica offers is that wherever you look, nature will frame your landscape. And that landscape can be the perfect setting to unite your life forever with the person you love. 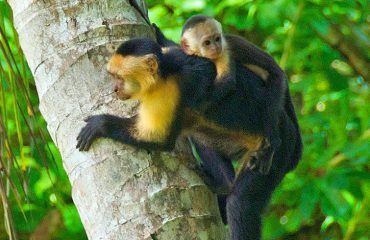 Costa Rica is a spectacular place to enjoy perfect moments and vacations. That is why it has became the ideal space to celebrate your wedding. Here you literally, can enjoy the open heaven gates in the moment you unite your lives. Imagine a place where you can take a perfect wedding and a expectacular honeymoon, condensed in the same place. That is Costa Rica. A magnificent space to celebrate with family, friends, the love that unites them. Always surrounded by nature, peace and our beaches that are much more than divine. 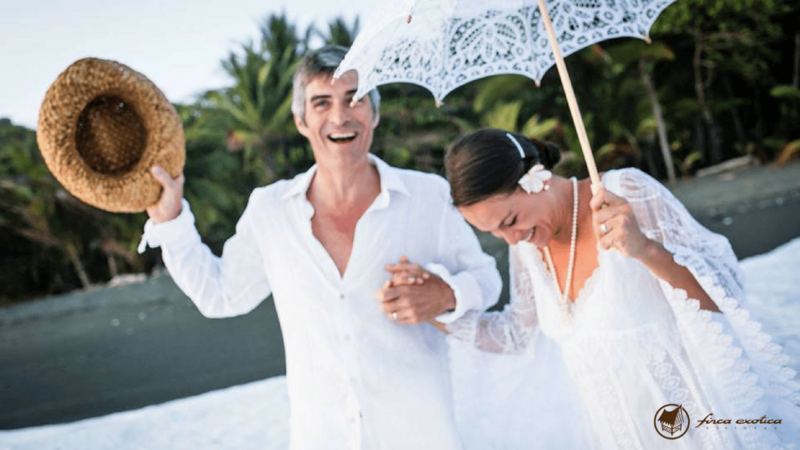 That’s why the option of a Costa Rica beach wedding is the favorite of many couples. And that is why they visit us from different destinations in the world to get married in this paradise. This option gives you an intimate, fresh ceremony with a perfect relaxed atmosphere that breaks the traditional. And the stage, with the sunset, the sand and the sea, lowers the sky at your feet. Also, getting married on our beaches allows you to enjoy the beauties of our country. All without having to worry about moving on your honeymoon. So you can enjoy the fullest so that the combo is complete: ceremony and holidays as a couple. All in just one place. 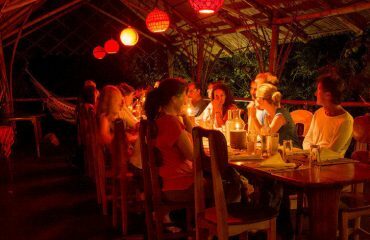 A perfect image as few that we at Finca Exotica Ecolodge, help to you to become a reality. The Costa Rican South Pacific is one of the most beautiful scenarios that this country has to offer, where the jungle joins the ocean. Here, in the sunset, the sound of hundreds of species of wildlife accompanies you, giving you peace without equal. Everything so that you can enjoy your love completely. And here, in the middle of this paradisiacal primary forest, unique in the region, is where Exotic Ecolodge Farm is located. We, in addition to helping you in the plans of the whole process, we provide you with a unique space to live that perfect moment. In addition to the event, our magnificent rustic rooms are waiting for you and your partner, and all your family, because we also offer spaces fully equipped to attend them and ensure you enjoy your Costa Rica beach wedding to the fullest. On this video you can see how you can enjoy your honeymoon with maximun comfort and minimum footprint. Every cabin is different, Mango cabin is the perfect place for couples and honeymooners, with its queen bed, a private bathroom and an outdoor shower where you can enjoy an amazing view of the surrounding nature. Lovely, right? Well here we wait for you. It does not matter if you are Costa Rican or if you come from outside, our tropical paradise awaits you to seal your union in its wonders. 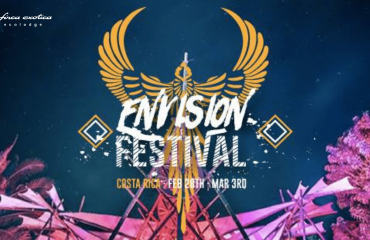 Contact us and allowed us to help you turn your day into a unique and unparalleled experience, as only Costa Rica and its paradise in the south, can offer you. So, we will wait for you! Because love has to be celebrated and celebrated in a big way.